Email is extremely important to any individual. When it comes to business email solutions, the importance of unified communication and collaboration is second to none. Every small business that is purchased needs fast, reliable and affordable email solutions. There are so many options in market that it can be difficult to know what exactly do you need. At the most basic level, emails are sent and received by an email server. That server can either be hosted by your company in house or buy another company that provides small business technology. For the most part, small businesses choose established email providers that they are familiar with. However, there are many hosting solutions that are equally as good but not as well-known. Most individuals and companies are familiar with Gmail. But, Gmail’s business solutions are actually quite expensive. And, they don’t integrate with employee monitoring software. For $50 per month, companies provide email solutions for just one user. Meanwhile, other reliable email providers charge just five dollars, such as Outlook/Hotmail. Does it get better than an email solution for less than five dollars? 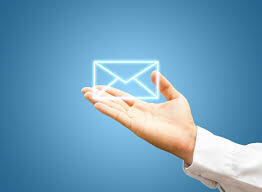 Of course, there is free email solutions for business. In fact, the free software option offered by Zoho Mail is actually one of the most popular small business email solutions online. By definition, free is a great small business solution. You will find their inbox to be intuitive, easy to use and inexpensive. Furthermore, Zoho Mail is an established hosted email provider in the industry. While their plans start off as a free subscription, their higher plans are still relatively inexpensive costing only a few dollars per user. And, in case you weren’t impressed yet, their email solutions integrate with other company applications to facilitate business communications. These apps include enterprise resource planning, project management, CRM solutions and more. Obviously, if you have specific needs for your business emails, you may want to try out other providers to suit your needs. However, for reliable service, business owners do not have to shell out too much cash. In under five dollars per month, Zoho Mail offers the best small business email solution on the market to improve your time management and productivity. Of course, there are going to be some business owners out their that do not want to use Zoho for their operations management needs. Whether you feel it is not a good email service for small business, or you just want to explore other options, there are plenty of email hosting providers that offer alternatives to Zoho. Rackspace is the best email hosting solution with low prices. For only three dollars per user per month, your small business can access email services with Outlook, webmail and mobile. In addition, the company promises 100% uptime, which is practically unheard of. You will also get 25GB of email storage with email archiving features. If you need email services for your small business, Rackspace is an excellent Zoho Alternative. If you do not mind Google having access to even more of your information, you can also consider Google Mail for Business. When you use Gmail for your business email accounts, you also get access to Google Calendar, Google Docs, Google Slides, Google Drive and all those other handy Google applications. The Google email service for business allows you to easily customize your settings to fit your organization, whether you own an SaaS business or a pet store. You can also access Gmail for business through iOS and Android apps, allowing you and your employees to be connected no matter where you go. With prices starting at just $5/user per month, you would be foolish to not consider Google email for business.